Incidents of email and Internet misuse continue unabated & are regularly reported in the press. It is the attributes that make the Internet & email such essential business tools, which inevitably generate significant risks for employers.Blogging, social networking or so called ‘cyber slacking’ may seem harmless, but these activities can result in harassment, obscenity, or even breach of confidentiality. 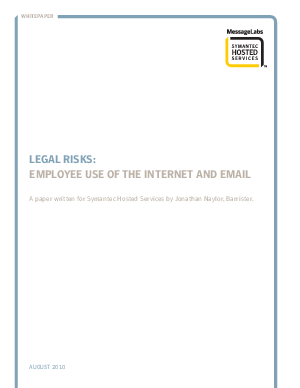 The legal risks are real.Read the latest research & uncover the legal risks to your business from employee use of email & internet.